Doris Stevens was born in Omaha, Nebraska,on 26th October, 1892. She graduated from Oberlin College in 1911. She worked as a teacher and social worker in Ohio and Michigan before she became a regional organizer with the National American Woman Suffrage Association (NAWSA). Stevens settled in Greenwich Village and joined a community of feminists that included Inez Milholland, Mary Heaton Vorse, Susan Glaspell, Neith Boyce, Madeleine Doty, Louise Bryant, Ida Rauth, Dorothy Day and Crystal Eastman. Stevens joined with Alice Paul, Lucy Burns, Mabel Vernon, Olympia Brown, Mary Ritter Beard, Belle LaFollette, Helen Keller, Maria Montessori, Alva Belmont, Dorothy Day and Crystal Eastman to form the Congressional Union for Women Suffrage (CUWS) in 1913. 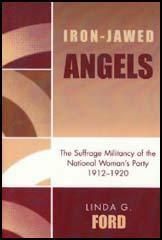 The women attempted to introduce the militant methods used by the Women's Social and Political Union in Britain. This included organizing huge demonstrations and the daily picketing of the White House. Over the next couple of years the police arrested nearly 500 women for loitering and 168 were jailed for "obstructing traffic". 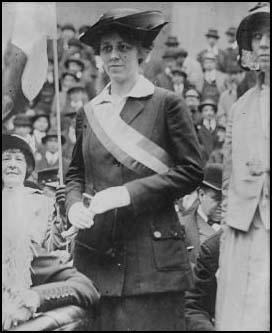 Stevens was arrested for picketing at the White House in the summer of 1917 and served three days of her 60-day sentence at Occoquan Workhouse before receiving a pardon. Stevens later recalled in Jailed for Freedom (1920): "Finding that a suffrage committee in the House and a report in the Senate had not silenced our banners, the administration cast about for another plan by which to stop the picketing. This time they turned desperately to longer terms of imprisonment. They were, indeed, hard pressed when they could choose such a cruel and stupid course. Our answer to this policy was more women on the picket line on the outside, and a protest on the inside of prison. We decided, in the face of extended imprisonment, to demand to be treated as political prisoners. We felt that, as a matter of principle, this was the dignified and self-respecting thing to do, since we had offended politically, not criminally. We believed further that a determined, organized effort to make clear to a wider public the political nature of the offense would intensify the administration's embarrassment and so accelerate their final surrender." 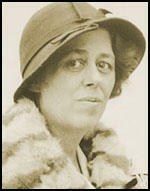 Doris Stevens published Jailed for Freedom in 1920. The following year she married Dudley Field Malone, a lawyer who had represented Stevens and other members of the Congressional Union for Women Suffrage in court. She associated with a group of radicals living in New York City that included Floyd Dell, Mary Heaton Vorse, Michael Gold, Hutchins Hapgood, Theodore Dreiser, Eugen Boissevain, William Zorach, Neith Boyce, Eugene O'Neill and Edna St. Vincent Millay. Stevens divorced Dudley Field Malone in 1923. She later married Jonathan E. Mitchell, a journalist who worked for the New York World. Stevens was member of the NWP's national council between 1931 and 1936. She was also chair person of the Inter-American Commission of Women (1924-48). Doris Stevens died on 22nd March 1963. 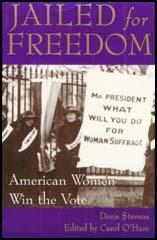 (2) Rebecca West, reviewed Jailed for Freedom by Doris Stevens in Time and Tide on 24th March, 1922.